Exporter of a wide range of products which include tablet press dies, tablet punch cabinet, tablet press dies and punches and tablet press machine. From our extensive range of table press accessories, our clients can avail superior quality range of Tablet Press Dies. These are fabricated using best quality tool steel like OHNS or HCHC which results in durability and performance of these. These can be offered in both standard as well as in customized specifications as per the defined quality standards. 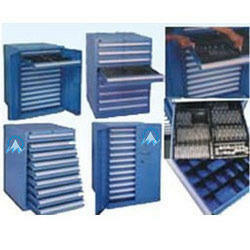 We have emerged as one of the leading manufacturers, exporters and suppliers of a wide gamut of Tablet Punch Cabinet. For the fabrication purpose of these, we have used best quality factor inputs and also utilized cutting edge technologies. Further, these are valued for their robust construction, easy maintenance and also for their durability. We are recognized as one of the leading manufacturers, exporters and suppliers of a wide gamut of Tablet Press Dies & Punches Polishing Kit. 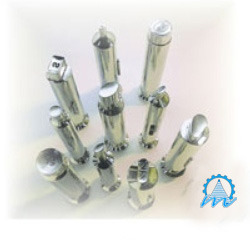 These are fabricated as per the defined quality norms, using best quality factor inputs. Since every punch tip is very precise and accurate, slight wear & tear can result in production of dull or collared tablet. And hence, polishing of punch cavity is an important exercise to ensure reliability of the tooling process. 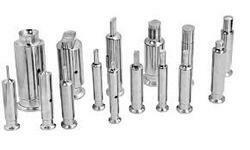 Our punch cavity polishing kit helps you in acquiring the original cavity finish of your punches. 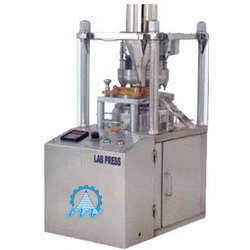 We manufacture various models of tablet press machines, tabletting machines and multipunch tabletting machines that are GMP certified and are available in single and double rotary models. Type of tooling "D" "D" "B" "B"
No. of station 8 stn. 10 stn. 8 stn. 10 stn.